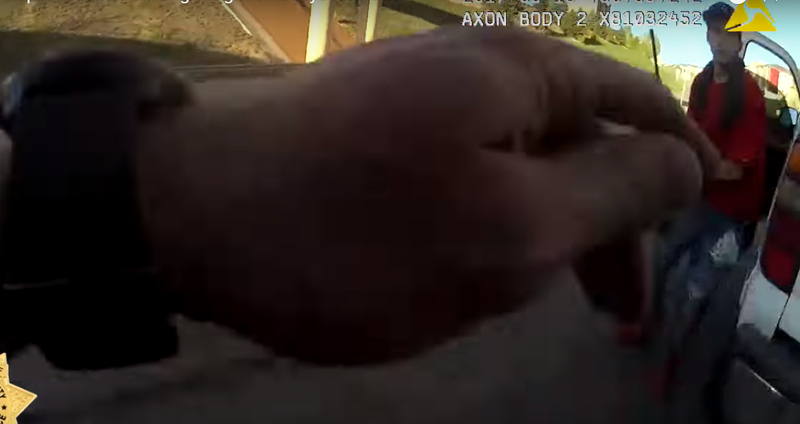 Horrific bodycam footage has emerged showing the moment a police officer was shot by a man and it’s absolutely shocking. Disturbingly, there are plenty of dreadful videos doing the round showing people being shot, but this one happens so quickly and abruptly, it’s hard to register what you’ve just witnessed. The heart-stopping video from 9News showing the moment a deputy of Douglas County, Colorado was shot at by an armed man was released by police. 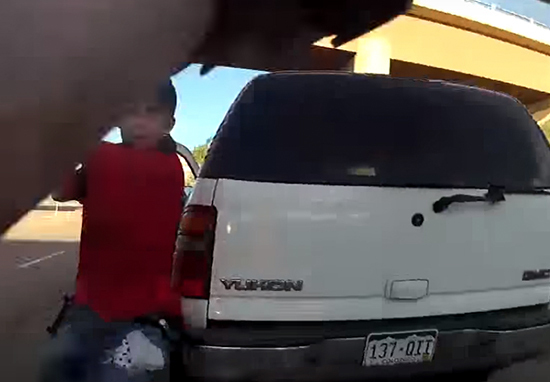 The footage shows the Douglas County deputy stopping after seeing a white SUV, parked by the side of the road and deciding to investigate further. Brad Proulx – the investigating officer – then walked over to the passenger window of the van, before going round to the other side, where he meets his horrifying fate. On reaching the other side of the van, Proulx is met by the man swinging a rifle wildly in a bid to strike the officer. Panicked by the situation, Brad shot at the armed suspect, hitting him and the passenger door in the process. Brad – who has been part of the County Sheriff’s team for six years – wasn’t hurt, although the 25-year-old suspect was and was taken to Littleton Hospital for treatment. 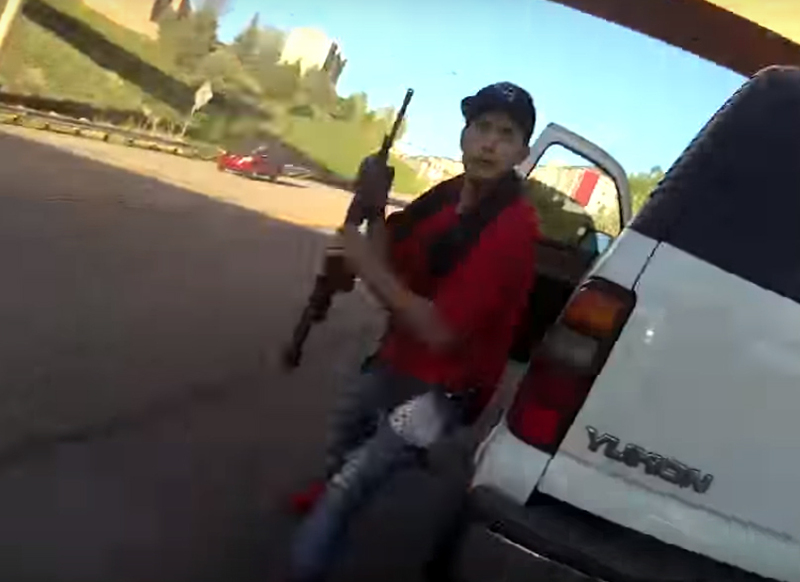 He has since been released and is currently being booked at the Douglas County Detention Centre, where he faces charges for first-degree assault, although investigators say the rifle was not loaded. At present, they are trying to fathom why the suspect advanced towards the officer with a rifle in the first place.